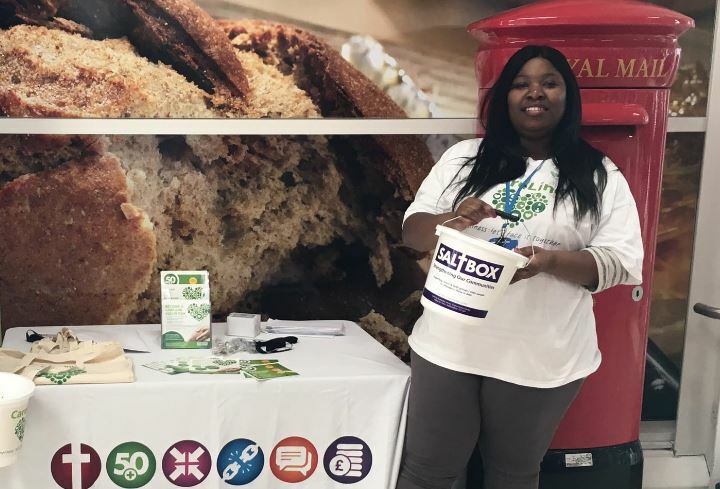 Volunteers’ Week (1-7 June) is a chance to say thank you for the fantastic contribution that individuals make to charitable organisations across the UK. 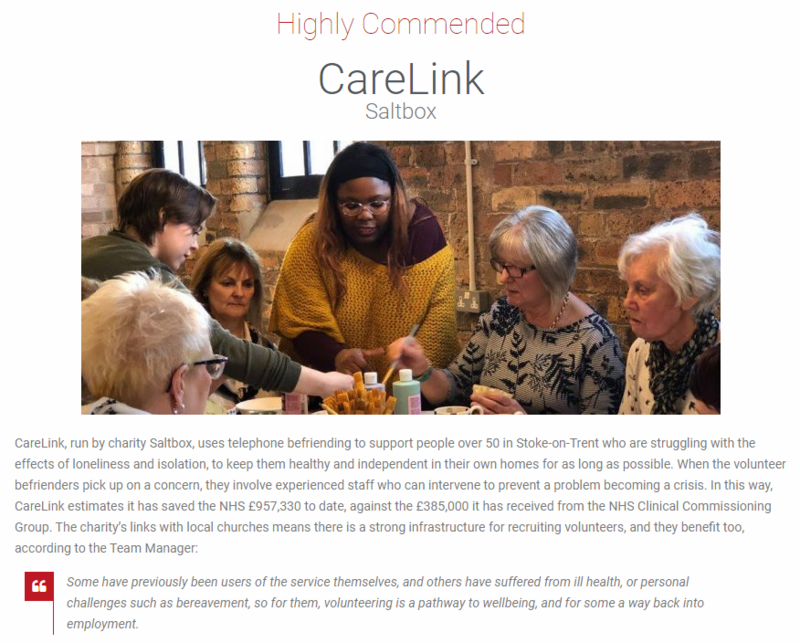 Here at Saltbox, our volunteers give up their own time to help support us across the broad range of services we provide. This week we speak with our CareLink Volunteer Co-ordinator, Zi Makhiwa. 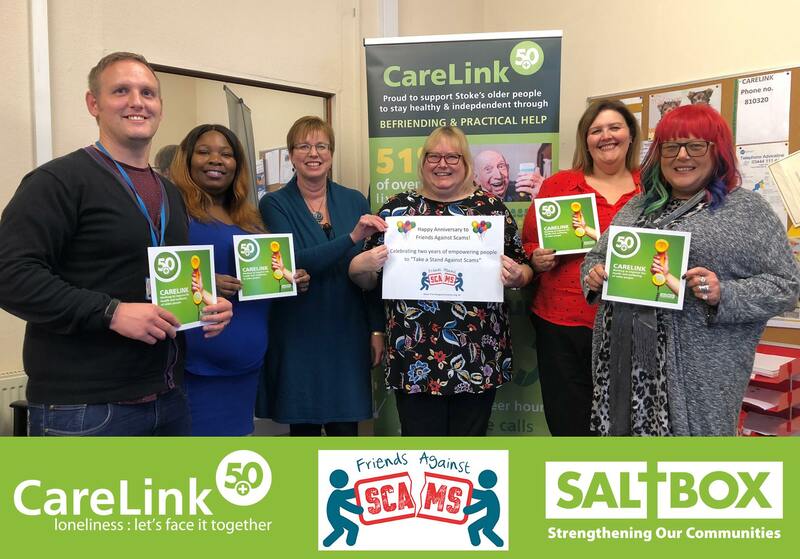 Having worked at Saltbox for just over nine years, Zi is responsible for overseeing 30+ volunteers who in turn donate 370 hours a month towards our CareLink befriending service. Tell us a bit about yourself, how did you end up working for Saltbox? Having graduated in Law in 2007, I have had varied roles in my working life. I began as a meat packer then worked as a cashier, replenishing shelves at a supermarket, domiciliary carer then as an admin and care co-ordinator. I’ve also worked in Quality Control, Data Administration and in the mortgage department at a bank. I came to Saltbox just over nine years ago after having to make a life-changing decision. I was only meant to be covering for a member of staff who was off sick for four weeks but have been here ever since. 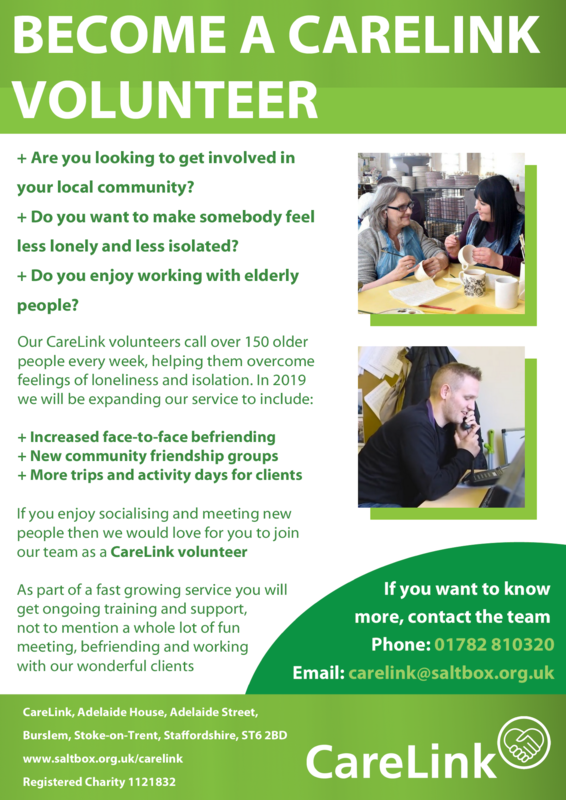 My role is CareLink Volunteer Co-ordinator. I enjoy working with people from all walks of life and enjoy listening to their life stories and what motivates them. I’m responsible for scheduling volunteers to ensure that our elderly CareLink clients receive their befriending telephone calls. I also support our volunteers in their roles and occasionally help them in their own lives too. When new volunteers join the team I oversee any recruitment and training requirements. I’m always encouraging them in their day-to-day activities at CareLink. This helps us to maintain an upbeat and exciting environment. Happiness whilst carrying out your duties does translate over the phone and helps to provide an amazing and supportive befriending service. Our clients often tell us they can hear a smiling voice over the phone. I look for someone who is friendly, caring, good at listening (very important!) and would like to help break up the monotony of the day for an older person who is lonely and isolated. Anyone interested in volunteering can call and speak to me at CareLink on 01782 810320. Alternatively, they can fill an enquiry form on our website. Here you will also find more stories from clients who will tell you about what a difference the service has made to them. Have Saltbox got anything lined up to celebrate Volunteer week? Oh yes, we do! This year we decided to break away from the tradition of our usual ‘thank you’ meal. Instead, we’ll be taking our volunteers on a day trip to an amazing location – Carsington Water in Derbyshire. We felt this would give them the opportunity to go somewhere a little different and also give them time to bond as a team. They are all really looking forward to spending the day together and having a nice meal at the café there. I’m also looking forward to doing a spot of shopping! 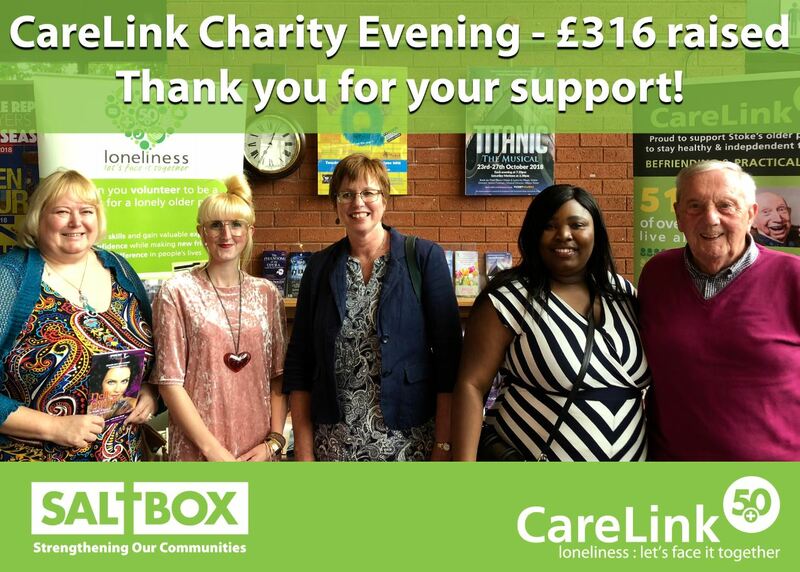 We hope this shows our volunteers how much we appreciate all they do for CareLink. 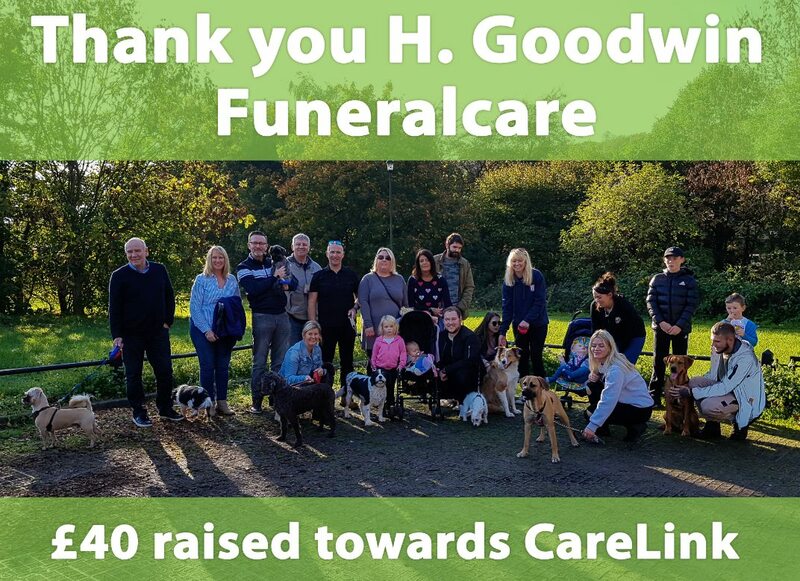 We really would not be able to support our clients as well as we do without our wonderful volunteers. Stay tuned to our Facebook page for plenty of photos and videos from our volunteer trip to Carsington Water!